In today’s technology-centric world, it’s safer than ever for seniors to remain in the comfort of their own homes rather than assisted living facilities. With everything from wireless monitoring devices to automatic medicine dispensers, there is virtually no hindrance to healthy senior living that can’t be purchased, programmed, and put into place. And while it may seem a little—well, emotionally distant to have so many gadgets upon which to rely, the truth is these various forms of technology exist to make us feel more human. If you have recently noticed an increase in potentially dangerous “senior moments” or witnessed a family member face difficulty completing daily tasks, there’s likely a solution to your problem. Take a look at these top 10 devices to keep seniors safe at home. The main allure of the First Alert light is that it screws directly into an existing light socket for easy set-up. As it senses motion in all directions, you can rest easy knowing that no matter where you go you’ll always have a well-lit room in which to move freely without fear of tripping over furniture or rugs. Especially useful for those who get up several times throughout the night, the First Alert motion sensor allows homeowners to walk safely from one room to the next without fumbling with multiple light switches. It even conserves energy by switching off automatically when you leave the room. It’s compatible with compact florescent light bulbs up to 50 watts and incandescent light bulbs up to 100 watts. It’s a simple product that would benefit any forgetful cook, yet Burner Alert is especially useful for seniors who may be more apt to absentmindedness while multi-tasking in the kitchen. Individual discs that fit snugly under burner knobs will alert you in timed intervals that the stove top is in use. Users will get both audio and visual cues with beeps and blinks at the following minute intervals: 3, 9, 15, 30, 45, and 60. As one caregiver shared via Alzheimer’s Association, “My mother burnt everything. There are a few incidents that stick out in my mind, like trying to make a meatloaf and forgetting to turn the oven on, or making a cake with salt instead of sugar. She was getting increasingly absent-minded.” If that story sounds familiar, you might consider a more proactive approach to kitchen safety and fire prevention. Four packs start at $69.99 with the manufacturer’s coupon code. While it’s certainly not the cheapest device on the market, it just might qualify as the coolest. The machine will not only automatically dispense pills, but alert caregivers remotely via email, phone, or text message if pills have not been retrieved. What’s nice is that it approaches safe dosage from all angles—sounding a loud alarm if you’ve forgotten to take your medication while also safeguarding you from taking more pills if you happened to forget you already did. The current sale price is $789.95; however, there is no monthly fee involved making it a nice one-and-done solution for seniors. All it requires is a landline and you’ll get lifetime monitoring with pill refill reminders as well. Not too shabby if you’ve got more RXs than you can manage! When it comes to a truly all-in-one security system, Canary is tough to beat. Whether you’re looking after aging parents who insist they don’t need help or keeping a watchful eye on an in-home patient as you run daily errands, real-time HD video practically allows you to be in the same room with them. It’s got video recording with cloud storage up to 30 days, night vision—even a 90+ decibel siren that can be controlled remotely. Everything is managed through an iPhone or Android app so you can skip any arduous setup process you might have expected and get straight to protecting your family members. Keep an eye out for burglars or door-to-door scammers who are more likely to target the elderly or disabled. You can even monitor the seemingly minute details of the home such as temperature and humidity to make sure your loved one is comfortable at all times. Is your spouse showing early symptoms of dementia? For individuals who remain independent but need gentle reminders, Memo Minder lends a sweet, personal touch to caregiving. If you need to leave the house for a few hours, you can program the device to play a recorded message (up to 20 seconds long) to your spouse in your absence. For example, if they walk by the front door, the recording could reassure them that you’ll be home soon. “Hi honey. I stepped out to get groceries and will be right back. Don’t go anywhere. I love you.” Though primarily sold in the UK, you can find it on Amazon.com for easy checkout and minimal shipping costs. Seniors are more likely to forget everyday necessities like a wallet or set of house keys. Remove the doubts and fears surrounding home security by installing a fingerprint-activated lock on the front door. Not only will it prevent future lockouts, it will stop potential home intruders in their tracks—especially neighbors or “friends” who may pretend to be looking out for your loved one while taking advantage of their trust and vulnerability. For the extra forgetful senior in your life, the keyless door locker just might end up paying for itself as you’ll no longer have to bear the expense of rekeying the entire house. Perhaps the best feature of this device is the MobileHelp Fall Button technology that makes up this comprehensive emergency monitoring service. When you consider where seniors are most likely to fall and injure themselves, the riskiest place is often the bathroom. The confined space, hard tile, and slippery bathtub or shower makes the bathroom a danger zone for older people with limited mobility. Through the use of a waterproof neck pendant or wrist button, slips and falls become automatically detected via body movement and loved ones are then notified of the accident. You’ll like it for its no-obligation pricing and 24/7 live monitoring services. With so many products on the market, it’s nice to be able to test-drive your options without getting locked in. With their longstanding popularity in Europe, it’s no wonder bidets are increasing in attraction across the US—especially in seniors’ homes. As the manufacturer’s website states: “seniors who suffer from arthritis, incontinence or mobility problems now have an effective means of addressing their bathroom needs with our bidet toilet seat without relying on others.” From a safety standpoint, the Brondell product removes the risk of twisting and turning that might lead to injury or discomfort on the toilet. Most of all, it allows seniors their dignity—the basic human right that many feel is taken from them once under someone else’s care. Let’s face it—today’s smartphones are sometimes too complicated for even young folks to master without several days of dedicated usage. Jitterbug cuts the nonsense and makes it easy for seniors to navigate. It embraces the “less is more” ideology with a single screen display of large icons and built- in health and safety apps such as 5Star Medical Alert, Urgent Care, and MedCoach. Monthly plans for the Samsung device are offered via GreatCall and can end up costing less than $20 per month. Remember when you actually used your phone for making calls? The Jitterbug is sort of like a welcomed return to simplicity. Mind boggling; we know. What do you get when you combine a Fitbit, alarm system, home monitoring service and emergency response device? Lively. And it’s as stylish as it is innovative. In-home activity sensors can be placed on anything from the refrigerator or shower door to the pill box. The sensor can alert others remotely whether or not activity has been detected. You won’t have to worry if your grandmother has forgotten to eat lunch again—you’ll be alerted via the channel of your choice. Most importantly, the smart watch features a safety button that will dispatch emergency services if the user and emergency contacts cannot be reached. 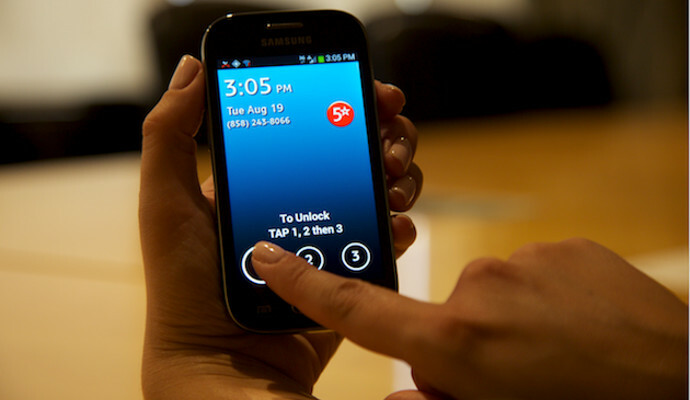 Like Jitterbug, Lively is also connected to GreatCall’s technology platform. Solo senior living doesn’t have to be frightening or risky. While the baby boomer generation often laments over the advent of new technology (especially in regard to its overtaking of good old fashioned human interaction), it’s not always as hollow as it appears. By embracing the “smart” device movement, you reintroduce the freedom you thought was a thing of the past. There are many devices to keep seniors safe at home; the best ones simply aim to keep you or the people you care about safe and comfortable. How do we put a price on that? Anyone with hands-on responsibility for an aging loved one needs a break occasionally, if not regularly. We help families like yours to the right type of care and find the best possible caregiver for your needs. Our highly qualified and compassionate care coordinators can help make the decision easier and answer any questions you have regarding your unique situation.